Please note that images are for illustration purposes only and to give you an idea of how they may look either at full maturity or in youth. Depending on the season plants may be pruned to encourage new growth. Deciduous plants may arrive without leaves. Choose an open, bright and sunny location with well-drained soil. 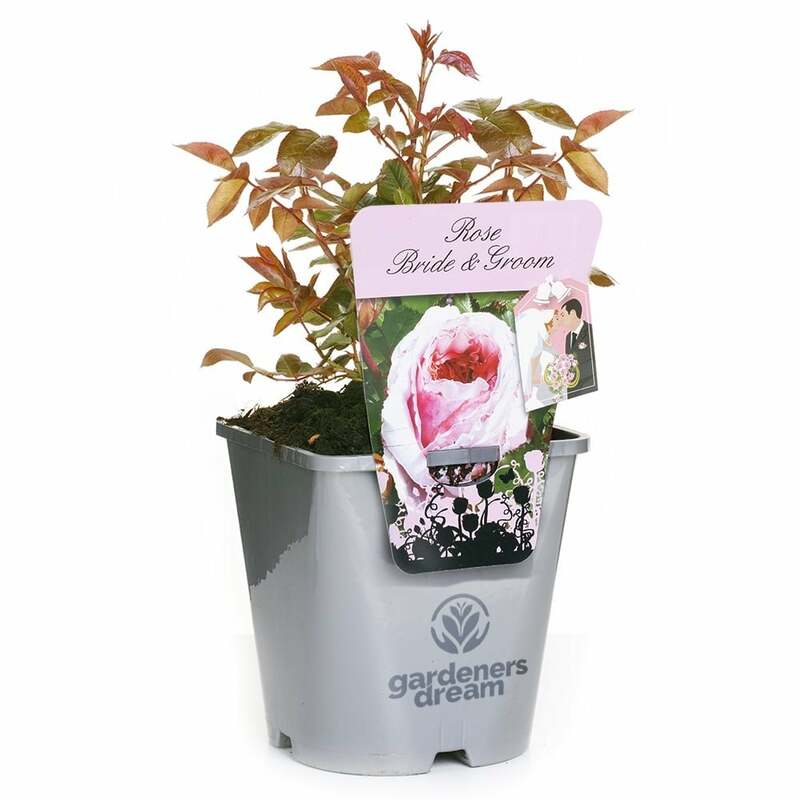 Check that the soil in the container is moist and that the rose has been well watered. Prepare the soil in which your rose is to be planted by digging over and adding some well rotted farmyard manure-compost or bone meal, ensuring that these are well mixed with soil before planting. Position the rose in the hole and fill in firming down and then watering well. Continue to water frequently in dry spells. Feed each Spring and Summer with a high potash fertiliser.